It takes the reader on a compelling journey where each twist and turn awakens the intellect of the curious and satisfies the thirst for knowledge about a country called Haiti. Through the lens of Odilon and Therese, we come to understand the historical political, economic, and social structure of the country. 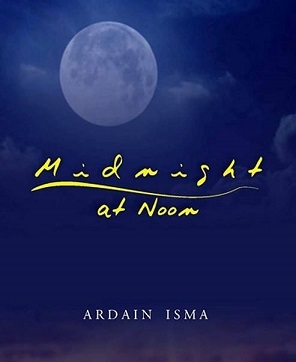 The poignant and vivid descriptions of people, places, and events render a sobering effect that propels one from the ordinary setting of a journey to an extraordinary experience of unrivaled artistic magnitudes. One of the most notable attributes of this masterpiece is that it grows and develops into a work that is universal in nature thereby becoming a microcosm as it depicts events going on in our world today. The effects of various styles of leadership, of the perils of classism, of politics, of economics and survival and how one can still extrapolate dignity, love, and moral values for family, community and country has a sobering effect on the reader. Midnight delivers. 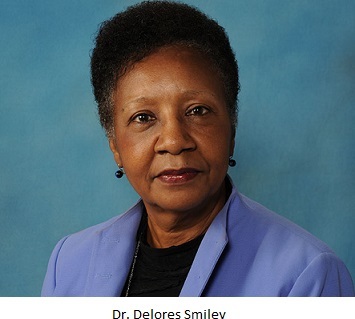 Note: Dr. Delores M. Smiley recently retired from her position as Executive Director of the Office of Diversity and Cultural Affairs in the Abraham S. Fischler School of Education at Nova Southeastern University. She continues to serve as doctoral dissertation advisor for the School of Education. For the past 45 years, Dr. Smiley’s life passion has been focused on getting and sharing education at all levels. Starting her career in Albion, Michigan as a Jr. High School Library Secretary, she went on to teach English and Social Studies at Albion Senior High School. She continued her career in Adrian, Michigan at Siena Heights (College) University where she was named Director of Student Support Services and Assistant Professor. While employed at Siena, she wrote and taught the first African American History class and served as liaison for the students and administration there. At Nova Southeastern University, she served in administrative positions, as professor in the leadership at the doctoral level and as dissertation advisor. Dr. Smiley is serving her third governor-appointed term on the Board of the Florida Fund for Minority Teachers. She is editor of an online diversity journal entitled The Journal of Globalization and Higher Education. She has received many honors and recognition for her work in education and diversity initiatives. She has made many proposal-driven diversity and leadership presentations for national and local audiences. Her favorite quote is “Be the change you want to see in the world” by M. Gandhi.